That's a wrap from us today. A first Six Nations win for Scotland in two years and another victory for England under the Eddie Jones era. A reminder that you can listen to live commentary of the Women's Six Nations match between England and Ireland starting now, via this link. Thanks, as always, for joining us. There'll be more from us on 12 March. Until then. "I’m putting a self-imposed media ban on myself before the Wales game. I will leave that to Warren Gatland, he’s pretty good at it." 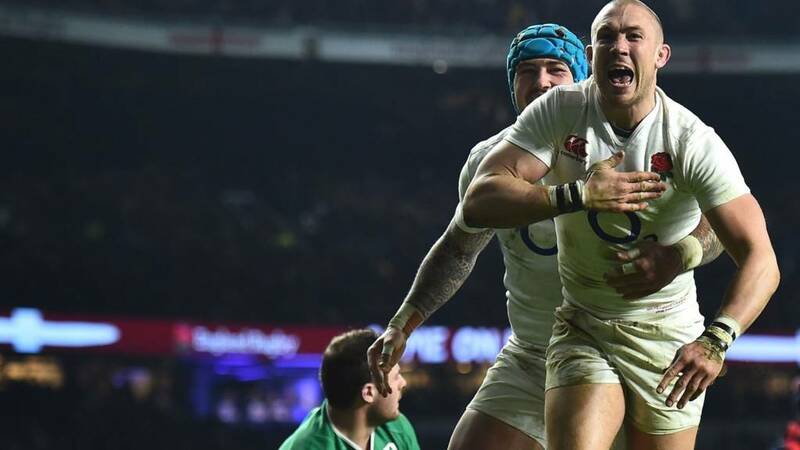 England stand on top of the pile after three victories from their opening three Six Nations matches. Wales, second in the table, could prove to be a road block on 12 March. Eddie Jones: “I think our performances have stepped up. We were facing a better team today and we probably left 10 to 15 points out there, as we couldn’t always convert our attacking pressure. We weren’t quite sharp enough and we were letting them get a hand in at crucial times. "Vunipola was great. He just loves playing rugby. He loves the team environment and loves playing for England. "Itoje has gone up a level from whatever a Vauxhall Viva is but we need to let him develop as a Test player and go from there." Ireland fought their way back into the match after being completely outsmarted in the first half, but they could not make their increase in possession in the second half count. "Vunipola’s comments about not enjoying the World Cup and not knowing his team-mates were all about socialising. Now there is a beer in the changing room for them after the game and sometimes the coaching staff tell them to go and hang out together so they can get to know each other. That camaraderie underpins rugby union and Eddie Jones gets it." There's no doubt about it, Billy Vunipola stood out for the hosts. The hulking number eight made 96m, made 18 carries and beat 10 defenders. It was Vunipola's ability to puncture holes which created opportunities for others. Guthrie Fenton: Never thought I'd see Ireland competing for the wooden spoon at this year's Six Nations. Owen Farrell scored 11 points which makes him England's third highest points scorer in Six Nations history. Not bad for a 24 year old. Robert: Great game for Vunipola and Itoje! An overall great win for the team also against a good Irish side. Unbeaten England remain on course for the Grand Slam. Wales will be their next obstacle and we all know what happened when those two teams last met at HQ. George Kruis nicks possession and that is that. A final burst from Ireland's men with the sound of Swing Low Sweet Chariot ringing in their ears. The men in green retaining possession in their own half but time is up. "Jack Clifford brings tots of pace, lots of intensity and he puts his head where it hurts. He may be the man Eddie Jones looks to promote to number seven." The intensity has dipped in the last few seconds, Ireland know they are beaten. A knock-on from England, though, gives the visitors a put-in at the scrum a smidgen outside their own 22. That incident a few moments ago where the TMO decided against awarding Ireland a try...here's the view of a Leicester Tigers player. Three minutes remaining and England are in Ireland's half, on course for a third Six Nations win, setting up a Championship showdown with Wales on 12 March. A series of mistakes. England lose their own line-out, presenting Ireland with another oportunity to surge forward... Jamie Heaslip pumping and snorting, but Jack Clifford isolates him and the captain is penalised for holding on. A reprieve for Eddie Jones' men.